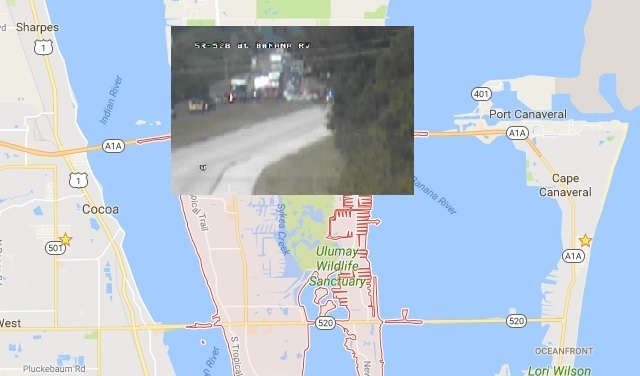 MERRITT ISLAND, Florida - The Florida Highway Patrol has identified the man who was killed in a crash that occurred on the westbound lanes of State Road 528 (Beachline Expressway) Monday morning on Merritt Island, Florida. According to FHP, 38-year-old Thomas Murray of Cocoa, Florida was driving a 2003 Jeep westbound on State Road 528 approaching the interchange of State Road 3 around 10:15 a.m. on March 27, 2017. That's when the Jeep left the paved roadway, overturned, and ejected Murray. Murray was transported to Holmes Regional Medical Center where he was later pronounced deceased. A passenger in the Jeep, 36-year-old Lyvonda Mason, also of Cocoa, suffered serious injuries and was transported to Wuestoff Hospital. Murray was not wearing his seat belt at the time of the crash, according to FHP. Mason was wearing her seat belt.